Our hand-dyed Rhapsody Fabrics are beautiful fabrics which work perfectly for Rhapsody Quilts or any other project requiring larger cuts. These yummy fabrics are made from our original secret recipes which remain locked deep inside the vault of Ricky Tims, Inc. 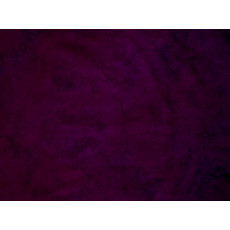 These hand-dyed, 100% cotton fabrics, measure approximately 36" x 45". Each fabric has it's own unique mottling but the blend of color is accurately reproduced from batch to batch.